The International Association for Suicide Prevention (IASP), in official relations with the World Health Organization has deemed Sunday, September 10, 2017, as World Suicide Prevention Day. 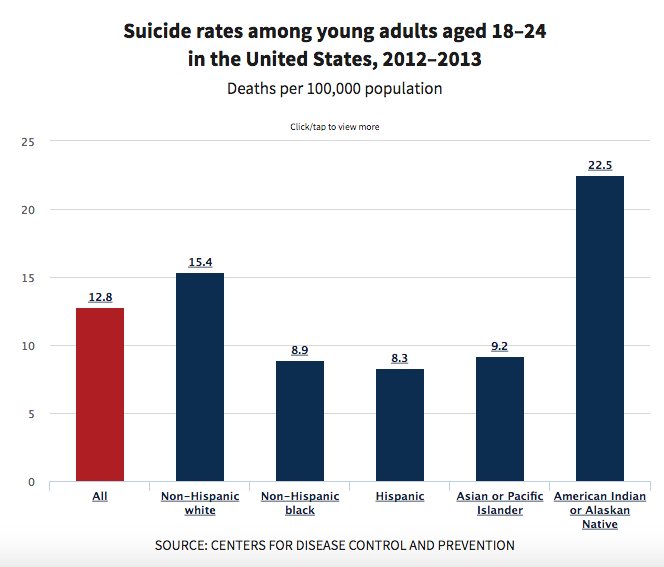 Native American suicide rates are nearly double the national average. 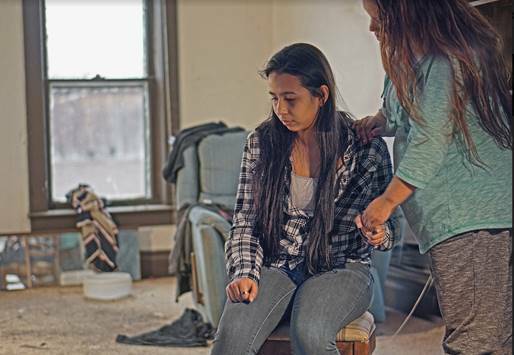 We invite you to join us as we address this crisis and work to provide hope for Native American youth. Every year, more than 800,000 people die by suicide and up to 25 times as many make a suicide attempt. Behind these statistics are the individual stories of those who have, for many different reasons, questioned the value of their own lives....communities have an important role to play in supporting those who are vulnerable. This sentiment is reflected in the theme of the 2017 World Suicide Prevention Day: ‘Take a minute, change a life.’ As members of communities, it is our responsibility to look out for those who may be struggling, check in with them, and encourage them to tell their story in their own way and at their own pace. Offering a gentle word of support and listening in a non-judgemental way can make all the difference. In our blog, Native American Youth Speak Out in the Midst of Crisis, we wrote about Santana, a social and seemingly happy 12-year-old Lakota Indian who loved to ride horses. She decided to end her life right before Christmas 2014. Tragically, she would be among nine Lakota youth on the Pine Ridge Indian Reservation in South Dakota who would commit suicide within a four-month span, after deciding there was no hope for living. Almost 1,000 suicide attempts were recorded on the Pine Ridge Reservation between 2004 and 2013, the Associated Press reported. On the Rosebud Reservation, 47 teenagers committed suicide over a two year period, and at least two children a day are victims of a crime or exposed to abuse, neglect, or violence in school, the Washington Post reported in November 2014. Among Native Americans, 40 percent of those who die by suicide are between the ages of 15 and 24. The youngest to die by suicide was only 12 years old. We are honored and very pleased to be working with some of the best partners who provide help to Native Americans in crisis. Their skilled and caring staff and volunteers provide direct services that allow victims to obtain counseling, treatment, and more. Native Hope believes that hope is at the foundation of real change. Hope opens the door to possibility and dreams. We invite you to join us in The Circle of Hope, a community of people passionate about bringing hope to Native American youth.